Leading Manufacturer of stainless steel tanks for food industry from Thane. Being the most respected association guided by experienced and skilled professionals, we provide an enormous assortment of Stainless Steel Tanks for Food Industry in the market at industrial leading price. These offered products are designed by using supreme quality of crude material and advanced machinery under the supervision of our superior team of professionals. 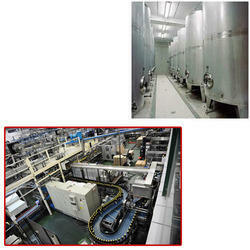 Looking for Stainless Steel Tanks for Food Industry ?